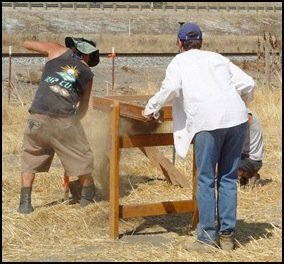 Because the size and scope of an archaeological project varies depending upon the individual job, PAST, Inc. usually hires field and laboratory technicians, as needed, on a project by project basis. Additionally, we also maintain strong working relationships with other consultants that provide special analyses associated with archaeological research. If you are interested in being considered for possible employment on an upcoming project or can provide special analyses, please Email (preferred) or mail (see below) us a copy of your curriculum vitae (CV) for our records. Please indicate your education level, previous experience, special skills, willingness to travel, and any other information that you think we would want to know! When PAST, Inc. receives your CV, we will enter your information into our database and contact you when an opportunity arises where we can utilize your talents on a project.